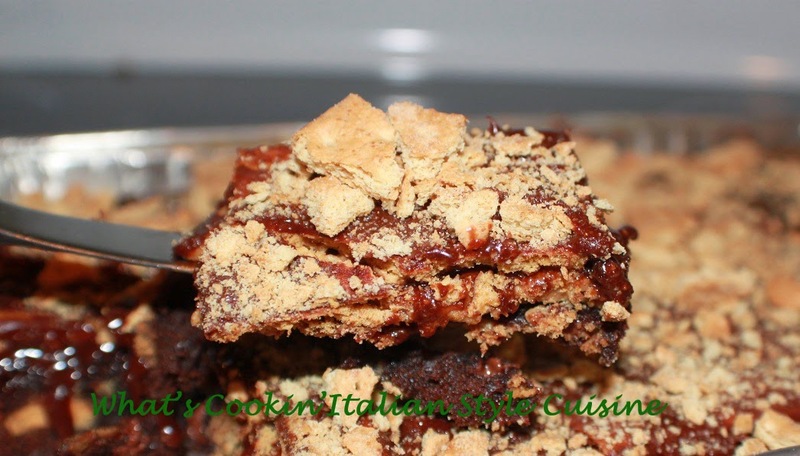 Easy as can be, you will love this recipe if you love peanut butter and graham crackers! Here is the snack that the kids will be asking for over and over and the big adult size kids too! When I first tried these I thought cinnamon graham crackers would be fabulous but I didn't have any (sigh) so the next time guess what I am trying this with? Oh yes, cinnamon and chocolate are one of my favorite combinations. Now on to the simple recipe everyone will be raving about! graham crackers either honey or cinnamon even the chocolate ones work well! Mix the brownie mix to the package instructions add 1 cup chocolate chip and stir. Pour into a prepared brownie pan that has been greased. 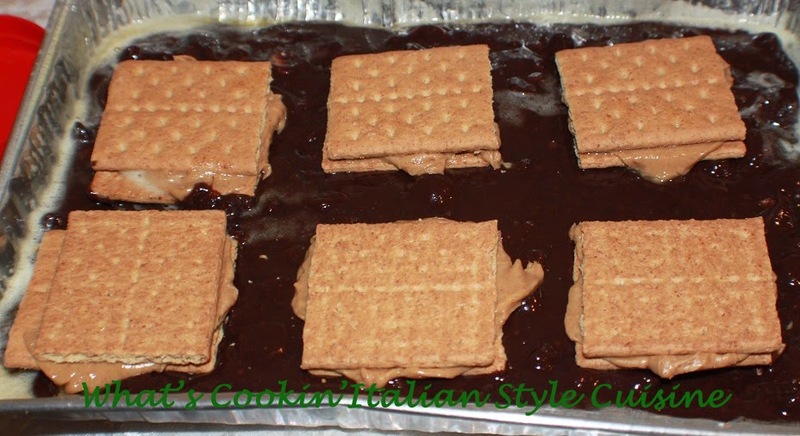 Break the graham crackers in half and spread with peanut butter making sandwiches of them. Place on top of the brownie prepared batter as shown above more if you like to fit. I used 6 sandwiches that seemed to be perfect. Bake at 350 until set around 25 to 30 minutes. The batter won't totally cover the crackers that's normal. While still a little warm frost with canned frosting. Sprinkle the top with crushed graham crackers. How can I add these recipes to my Pinterest page; I don't see a link. Lynette right at the top of the first photo if you hover over the left side it says Pin in red. Click that or one other way, above the date there are boxes for facebook twitter etc. The bottom says more when you click it brings up a pinterest button click and send. thanks for asking.